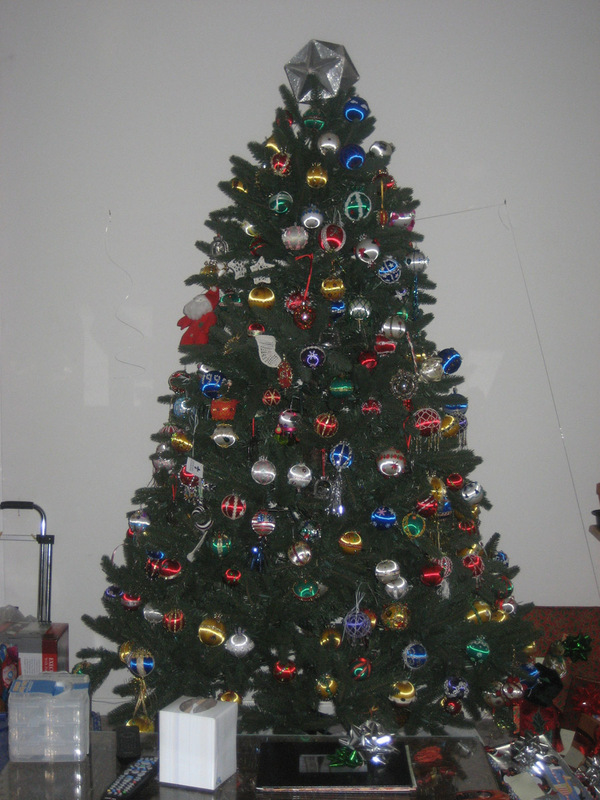 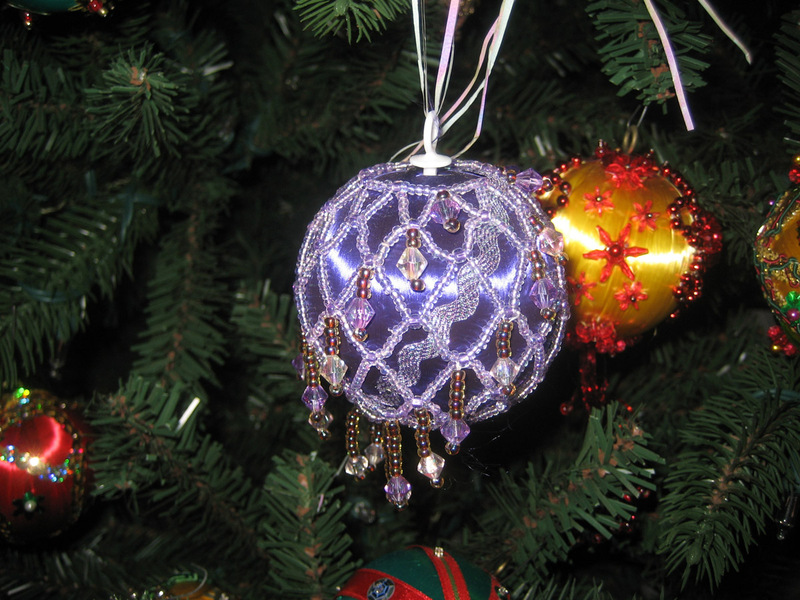 Every one of the ornaments is individually hand-crafted, and there are so many we can barely squeeze them onto the tree! 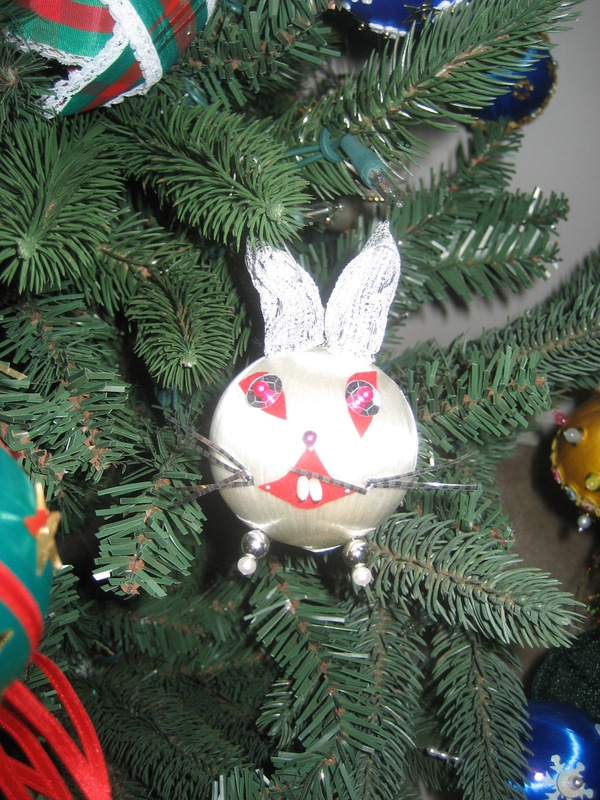 The very first ornament I made as a child. 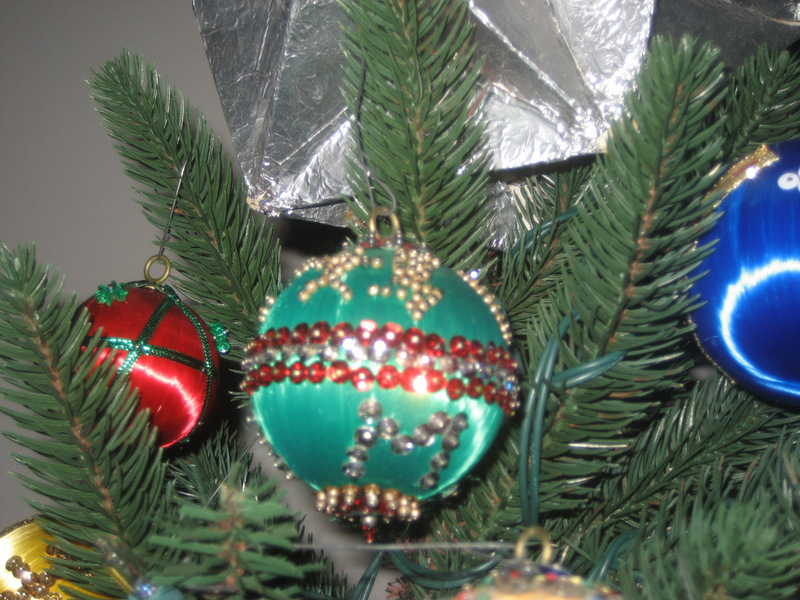 It says "Ma" in Chinese and "Mom" in English, on the bottom. 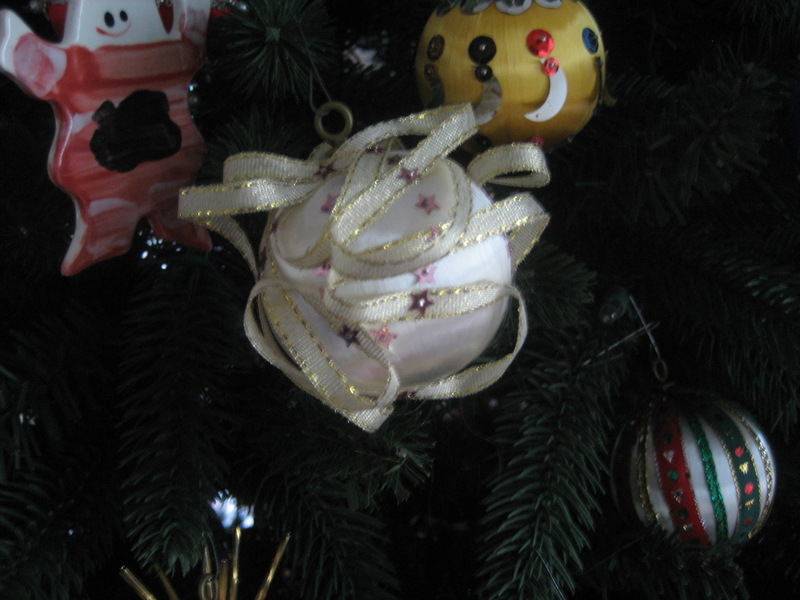 The entire tree is covered in ornaments like these, some 30+ years old, some made this year.Â It’s gorgeous.